OKEMOS M.S. 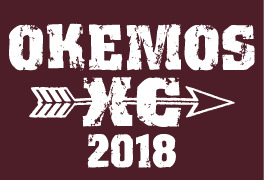 CROSS COUNTRY APPAREL is now available to order online! No orders will be taken after September 9th order deadline. You may CUSTOMIZE any of the shirts, with NAME at an additional charge. To customize, make selection on the page of the item you are ordering. All orders are custom made to order and may not be returned for size exchange or refund. For help with sizing, there is a size chart located on the description page of each individual item. IMPORTANT: ALL PLAYER PACK ITEMS WILL BE AVAILABLE AT PRACTICE FOR TRY-ON. PLEASE BE SURE YOUR ATHLETE TRIES ON THESE ITEMS BEFORE ORDERING.